Re: The Amish are Back! This may be the most offensive image I've ever seen on the Internet. 2girls1cup, by comparison, is amateur hour. It's true then, that rumor that has been going around the site, that you used to be known as "Cow" before an insane clown, out looking for his posse, came upon you instead and chewed a hole clean through you, because "Hey Cow, You make a better door than a window!"? Whoa whoa whoa, Paul is okay with a 4 speed?? I thought he only wanted 3 speeds or less! Squint wrote: Whoa whoa whoa, Paul is okay with a 4 speed?? I thought he only wanted 3 speeds or less! We've corrupted him and he crept up a gear range while we weren't looking. Don't know if you have any insight into this. So, I'm getting ready to order my SS, most likely within the month. My question is... how long would it take to turn this around? Like, how long will it be from order to delivery? Since the SS is made in Australia, does that mean it will be at the very least a couple months? I mean, it takes that long just to ship the car across the Pacific, not even taking into account the manufacturing time. If so, that will be the longest two months in the history of my life. 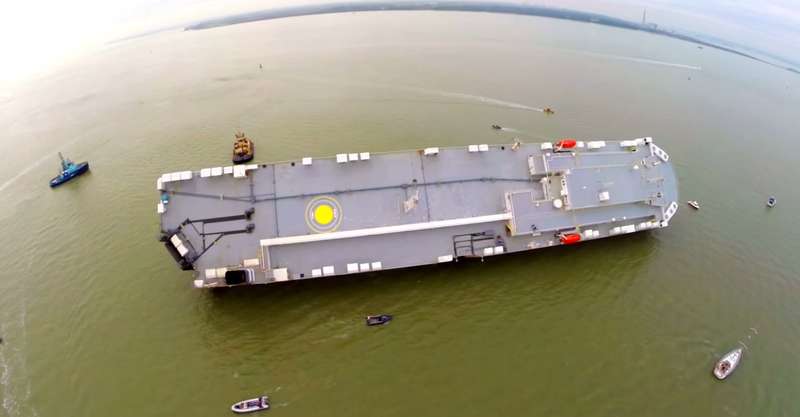 It had been hoped the Hoegh Osaka, which was carrying more than 1,400 cars and 105 pieces of construction equipment, could be reflaoted, but salvage experts Svitzer have since ruled this out after an examination of this ship showed it had taken on too much water that would then take too long to remove before a weather window for the operation closes. The ship’s cargo includes 1,200 Jaguar and Land Rover vehicles, 65 Minis and 105 pieces of JBC construction equipment. So, does this mean I've missed the window to order an SS? Because I believe the first shipment is already somewhere in the middle of the Pacific as we speak... Also, does that mean dealers don't really stock the SS? Also, it's not like there is much to special order, it only really has two options, a full-size spare and a sunroof, both of which I don't care either way. As long as there is a white manual SS somewhere within 200 miles of me, I should be good, so long as it's not someone else's order. Any way you could talk to someone who already owns one - maybe from a SS Owner's Forum? They would probably know how the process works. If not, then maybe go do some advance reconnoitering around a couple dealerships and see if they keep them in stock or if they sell them as quick as they arrive. Rope-Pusher wrote: Any way you could talk to someone who already owns one - maybe from a SS Owner's Forum? They would probably know how the process works. If not, then maybe go do some advance reconnoitering around a couple dealerships and see if they keep them in stock or if they sell them as quick as they arrive. I ordered one today They are still taking customer orders, which is pretty cool. And I also qualify for GM Supplier pricing since I am an employee of a GM supplier.